ECOTOURISM | Land Use and Mountain Biking: Where do we ride? Riding a spine at Farwell Canyon leading towards the Chilcotin River. Never has mountain biking (MTB) been under more duress than now. 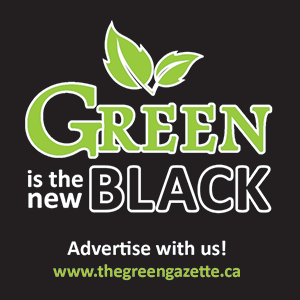 Industry, range, and other recreational users all vie for the same green space in and around our community. Throw in the realities of private property and urban sprawl, and mountain biking faces considerable hurdles when looking at the longevity of the sport. 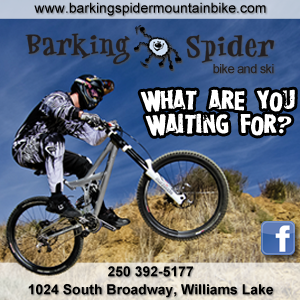 Thankfully, the City of Williams Lake, the Cariboo Regional District and the Province of British Columbia recognize the social and economic value of mountain biking, its trails and the infrastructure that support it, and have become willing partners with the Williams Lake Cycling Club (WLCC). 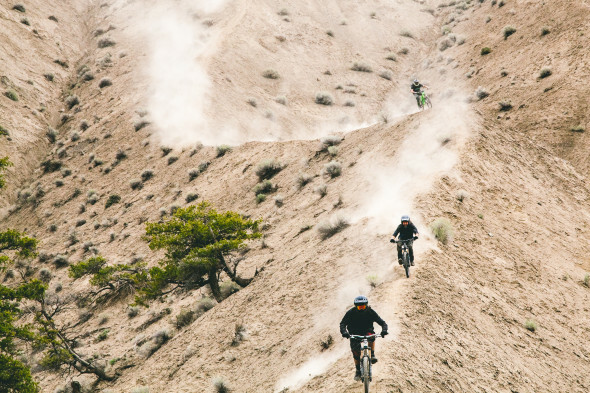 An economic impact assessment done in 2013 for the Cariboo Regional Area estimates that the total contribution of mountain biking to the Cariboo region is $2.17 million annually. This includes regional infrastructure spending, event impacts, and direct MTB equipment spending. The WLCC has been in existence since 2005, and Puddlebike, the original bike club, pre-dates that back to the 90s. The WLCC formed out of desperation and was one of eight pilot project communities to work towards the legalization of MTB trails. From those early days to now, the WLCC was and is a leader in legal trail and network development. 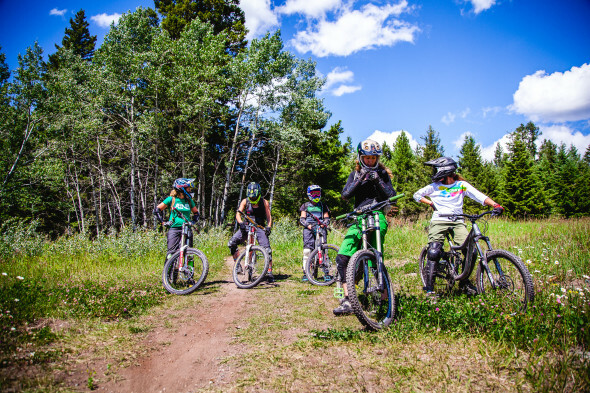 The WLCC is tasked with managing the resource of MTB trails in and around Williams Lake. With the strong partnerships of those listed above, new ones in the form of the Williams Lake Indian Band, other Native Bands and partners, plus the hard work of many volunteers, we have become known as the Shangri La of Mountain Biking and strive continually to retain that lofty standing. With four networks, over 150 trails, and more than 200 kilometers of single track, there is a trail and network for everyone. The ability to pedal from anywhere in town to three of these networks and access multiple trail-heads sets Williams Lake apart from most other cycling communities. Many of our trails encounter private property. In 1996 the Occupiers Liability Act of BC (http://www.bclaws.ca/civix/document/id/complete/statreg/96337_0) was crafted and based on a similar act from the UK. Its purpose was to address liability and determine the level of care an occupier is required to show towards persons entering on the premises in respect to dangers to them or their property while on the premises. Section 3 of the Act defines the occupier’s duty of care and Section 3.3 specifically addresses rural premises that are vacant or undeveloped, and/or forested or wilderness premises. Why is this important? This act states that a person who enters any of the categories of premises is deemed to have willingly assumed all risks and the occupier of these premises is only required not to create a danger with intent to harm or to act with reckless regard to the safety of the person. Essentially, a landowner is under no obligation nor has any liability if riders cross into his/her land. So, one would think private property owners have no issues with mountain bikers. But thanks to American-style court cases and fear mongering perpetuated by the court system, landowners are reluctant to allow any type of recreation to occur on their land despite legislation specifically designed to protect them and to promote the allowance of recreation. Industry has shaped the landscape around us in many ways. The mining and forest industries have been two major players of employment in our area for decades, and hopefully will continue to be, well into the future. However, there needs to be alternatives to these sectors and more thought is needed when examining the impacts these two have on our land base. While there is no mining activity close to town, timber harvesting is getting closer and closer especially with the advent of the fir bark beetle. One doesn’t need to look too far to see the rapid rise of red trees in and around the hillsides of Williams Lake. Fox Mountain and the Westside are heavily infected and the problem is only going to worsen if no actions are taken. What does that mean, though? It means there will be harvesting of beetle attacked trees close to town and within view of our city. How does that affect recreation? Well, when one considers the proximity of infected trees and the fact our trail networks lie so close to town, there is going to be contact. How does one measure the value of a trail over the value of forest health? Legally, the trails are protected and as a stakeholder the WLCC has input when it comes to how the land is used. Unfortunately, this can mean very little when industry makes a mistake and does not comply with the rules and regulations in place to protect recreational trails. The negative impact unsupervised logging activity has had on the Westside is undeniable and unrepairable. The riding experience has been forever changed and we need to find a way to make sure this cannot happen again. Range is among the largest user groups of crown land. 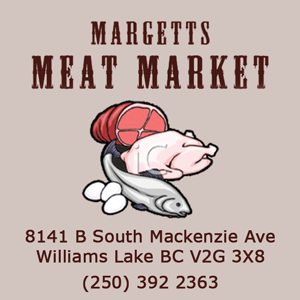 It is a multi-million dollar industry that has deep-seated roots in the province and especially in our area. Some of the oldest and most historic ranches can be found in the Cariboo and they are major players when it comes to land use. However, range holds no exclusivity when it comes to tenure on Crown land and they are a shared land user, similar to recreation. Perhaps because range has been a major part of settlement in Western Canada they feel a certain level of ownership and entitlement that differentiates them from other land users. The end of trail AK 89, part of the Fox Mountain trail network. Which way? Mitch’s? or Aflo? You decide. Compounding the issues of shared land use is the fact there are other recreational user groups competing for the same green space. The least intrusive are the hikers and walkers that find the MTB trails a wonderful means to get out and enjoy the fresh air and views our trails have to offer. 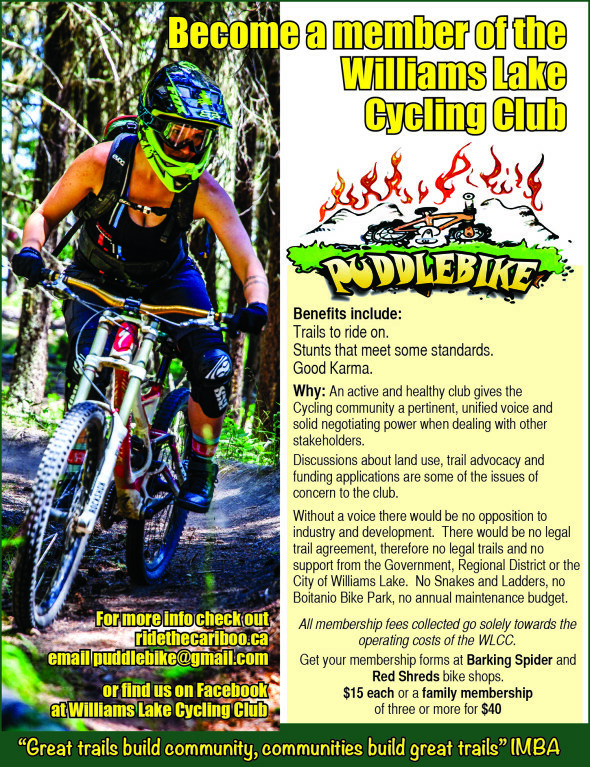 The Williams Lake Wanderers Club has shown support for mountain biking and the trails because of the opportunities the networks give them. Equestrian riders share some of the trails and conflict is rare with this user group as there is usually mutual consideration when encountering one another on the trail. The biggest downside of equines is the impact they have on the trails themselves. Damage caused by the small contact spot of a horse’s hoof can include blown out side hill support and rutting. Deep depressions and divots are also formed when the trails are ridden while soft and wet. The biggest bane to the MTB trails is in the form of motorized users. In the early days of trail building, builders purposely wove through and around trees leaving little more than a couple of feet between the trees. This was done to hinder motorcycle access as their handlebars were too wide to fit through the tight spaces. With the advent of wider handlebars on mountain bikes there is a different philosophy while building and motorcycles are less of a concern. Now, it is the quads and side by sides that are the more serious problem. The ability of these off road vehicles (ORV) to go almost anywhere and pack a chainsaw while doing it is very problematic. The wider wheelbase can be damaging and if the trail is too narrow, many ORV users simply cut their way through the forest without a second thought to the damage they are causing. Thankfully, the WLCC and the Williams Lake Off Road Motorcycle Association (WLORMA) have worked hard together to help combat the ORV issues. The Southsyde was recognized as being a prime motorized area and together the clubs created maps that showed trails allowing moto use, both single track and double track. More importantly, the maps showed trails that did not allow moto usage, thereby protecting the most vulnerable while still offering acceptable moto routes. These maps can be found in the network on the three trail kiosks that the WLORMA installed in 2015. There is a need to deal with all of these land-use issues now. The Williams Lake Cycling Club is a voice for the riding community and a chair at the table when it comes to land-use and user conflict. To date, the WLCC has received more than $170,000 in funding from its multiple partners. This has been used to create a signature trail, Snakes and Ladders, build and annually maintain the largest bike park north of Hope, install more than 300 signs and wands to direct traffic in the networks, help maintain the trail networks to industry standards, install and update several trail map kiosks throughout the area, and promote and foster the appreciation of mountain biking all while bringing tourists and tourism dollars to the area. Without the WLCC, forest companies could run rampant in the woods with little or no regard for the trails or the technical features found on them. There would be no consideration of the trails when new range fences are being placed or when grassland restoration projects are being planned. Hosting events would be very difficult as there would be no legal areas to ride in and on. The lifestyle that mountain biking creates and evokes could not be marketed to attract and retain the much needed professionals in our community. First Nation partnerships that would help trail and area development would not be likely. With the WLCC, logging plans are modified to accommodate existing trails and maintain the current riding experience. Fence crossings are built to retain the natural flow of a trail. Restoration project boundaries are modified to preserve visual quality aspects of a trail corridor. Large scale events like Pedal by the Puddle, the MTB Symposium, and BC Enduro Series can be held. Our trails and networks can be marketed provincially, federally, and globally to attract doctors and other health care professionals to our region. Important trusts are built with First Nation communities that will allow for further trail development in the future. 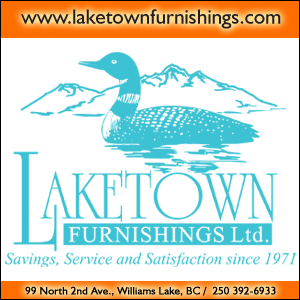 The Williams Lake Cycling Club is an integral part of our community. It fosters a healthy, green lifestyle while creating economic diversity and promoting a fun, vigorous place to live, thrive, and grow. One Response to ECOTOURISM | Land Use and Mountain Biking: Where do we ride?